While many may be preferential to that old-school crystal chandelier, LBL Lighting is far more interested in bringing us into the 21st century with their designs. You can choose one of their lower-key pendant style chandeliers, or one of their more mod styles, which not only act as a statement piece in a room, but also add artistic flair while creating interesting negative space. These chandeliers are all about the details, and they are a great way to dress up your ceiling. LBL Lighting wall sconces are a fantastic way to both add light and mood to a room at the same time. The design of a wall sconce allows you to control the amount of light emitted from any light by its light shade – which could be anything from clear glass (very bright, all around light) to wood or other translucent or opaque materials (directional light, softer mood). While most wall sconce shades are made of glass, the transparency, size, shape and details of that glass vary widely and serve to control the light being emitted. From frosted and smoked glasses, to hurricane, square or circular shades – with a wall sconce from LBL Lighting, you can do almost anything with your décor! Sconces are great for building a mood into a space, but can often be controlled by dimmer switches, and as a bonus serves as a fetching design element. Have you noticed that you often get stuck with just a handful of design choices when it comes to bathroom vanity lighting? It’s a shame, really, because bathrooms are often a design focal point, but many people settle for what the big-box Store is offering, and never really try to find something unique. LBL Lighting has a great selection of lighting designed for use in bathrooms, and unlike the big-box store, we won’t be letting you down on the stylish end of things. Whether you want a muted mod look, a clean contemporary line or a striking showpiece, we make all of that and more. LBL Lighting takes the whole home into consideration, and that includes the exterior and all your outdoor lighting needs. Your love of modern and contemporary design doesn’t have to be limited to your interior – no, with us there are no limits! Go ahead and take your modern lighting-look outside, and make your design choices inclusive and complete. 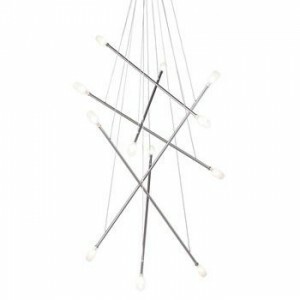 If you are looking for unique and tasteful lighting options, consider LBL Lighting. The beautiful designs will fit seamlessly into that contemporary or modern design you’ve been working so hard on in your home. If you need lighting options – we’ve got them! If you can’t find exactly what you are looking for at the big-box store, then visit us online today!